Fire and Ice Opal Ring is vibrant and full of energy. 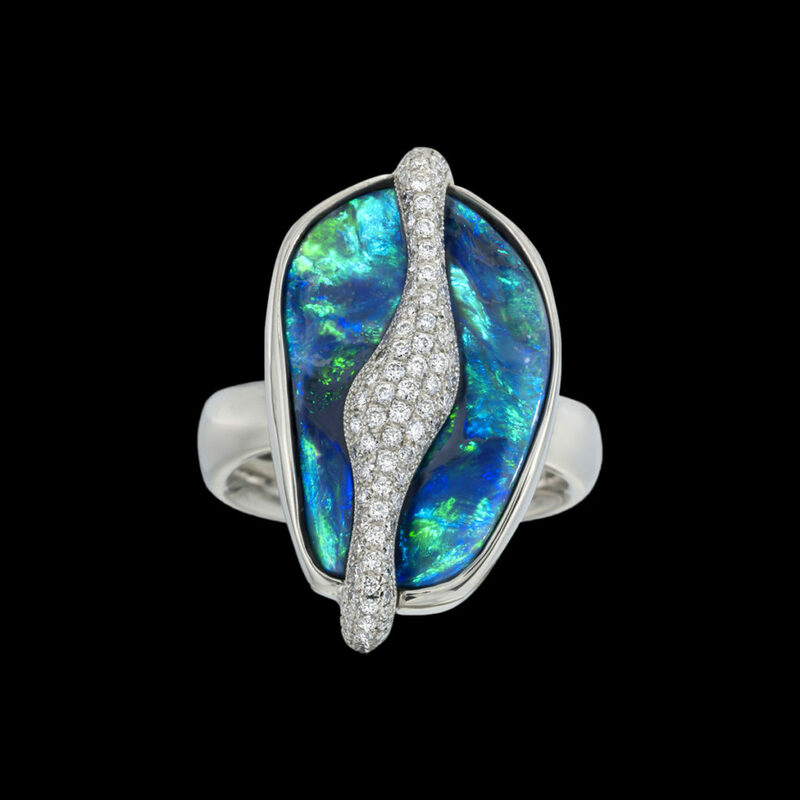 In this unique ring design, a black opal dazzles from within a white gold and diamond pavé setting. Call (949) 715-0953 or use our contact form below for additional information.